My first Christmas gift for the year is done! This shark wall hanging is going to my shark-loving little niece Stella. As you may recall, I gave her a shark skirt a few years ago. 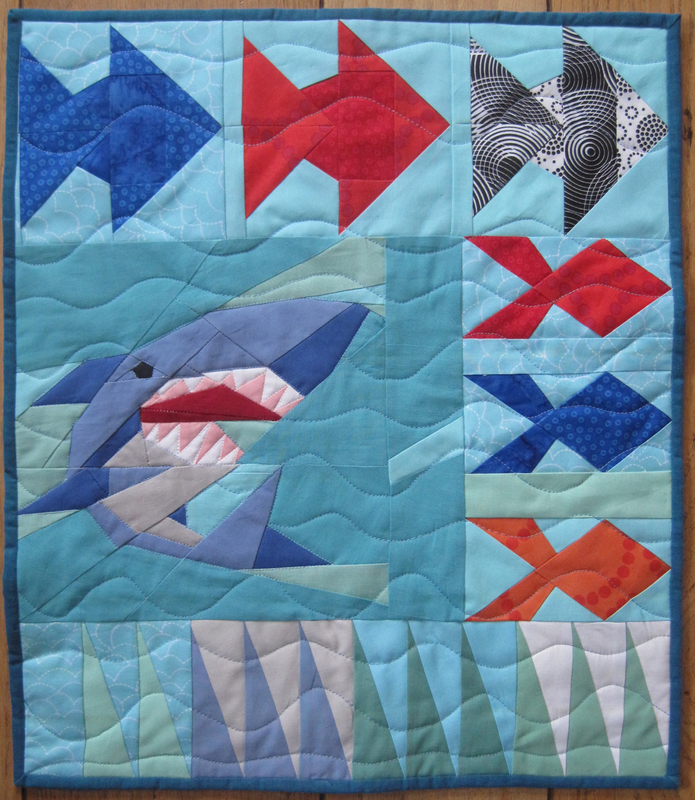 And since she’s still into sharks, the shark-themed sewn gifts will continue to come her way. This wall hanging is a result of the traveling quilt/round robin exchange I participated in last year for the Cincinnati Modern Quilt Guild. 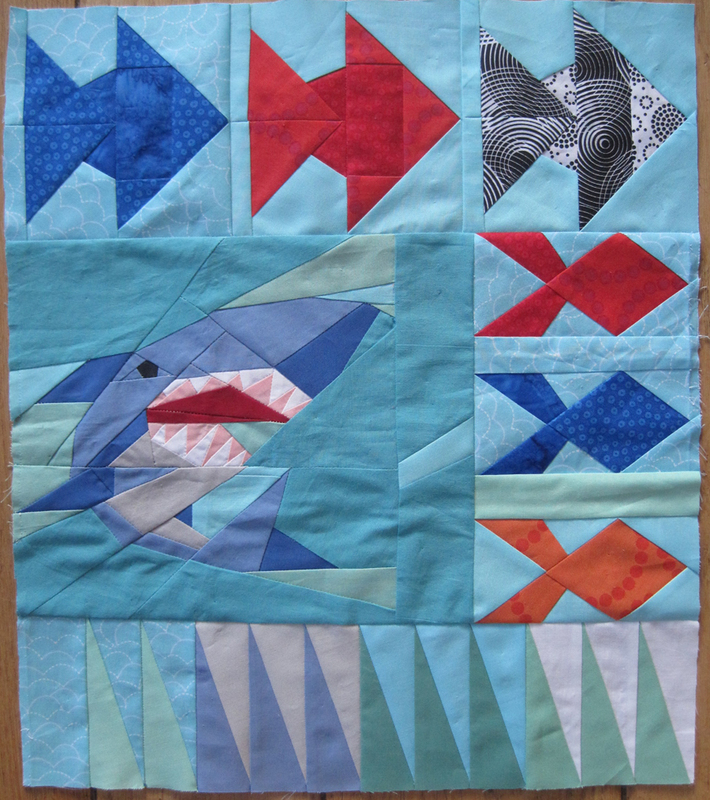 I started my traveling quilt with this shark block. Then each member of my group made a block or blocks to go with it. Ellen made the fish, and Teresa made the Shark Teeth blocks at the bottom. 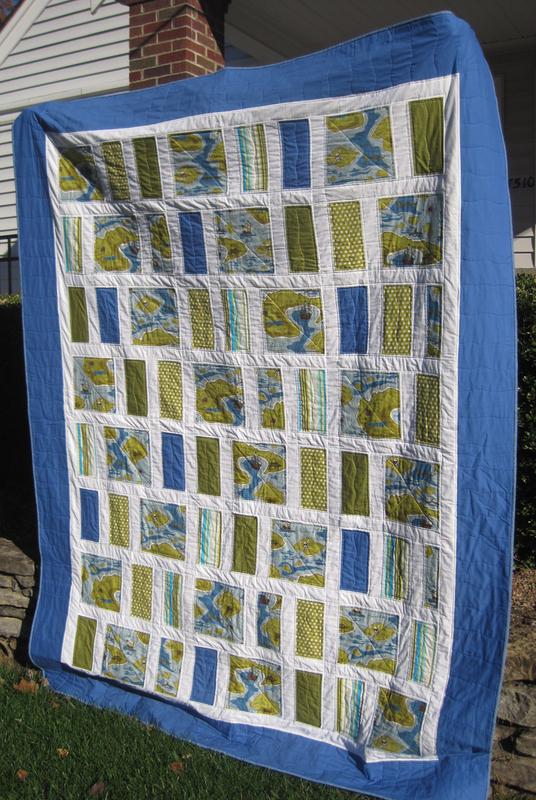 On the back I used Kim’s Saltwater Taffy blocks and some more fish. I had originally planned to make a boy’s charity quilt with my blocks, but that was going to take a lot more paper-piecing on my part. 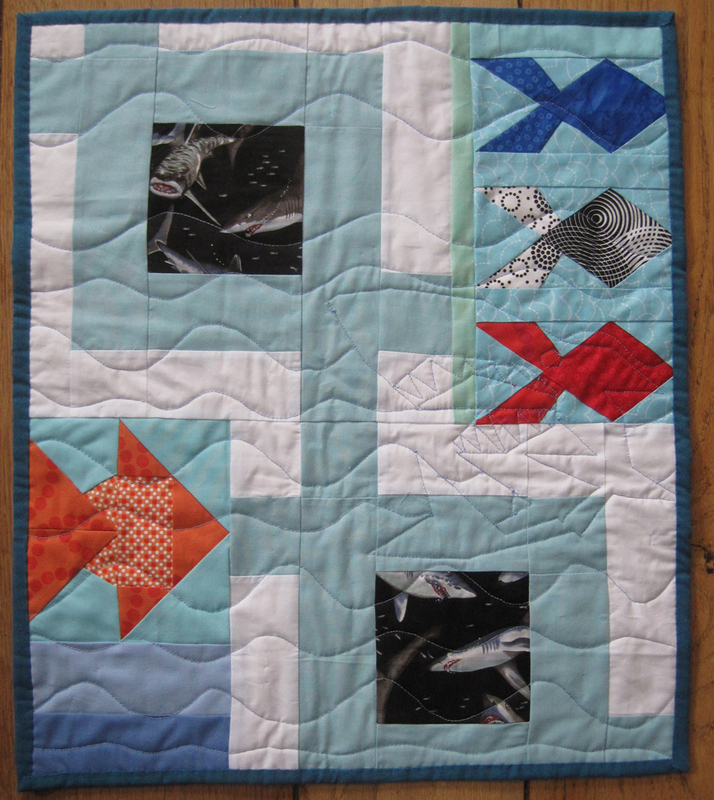 So instead, I reworked my block (taking off the borders) and some of the other blocks I received (some of the fish were sewn together), added some solid ocean-colored fabrics, and pulled it together for this 18 x 21-inch piece. With the top and back pieced, it was time for quilting. 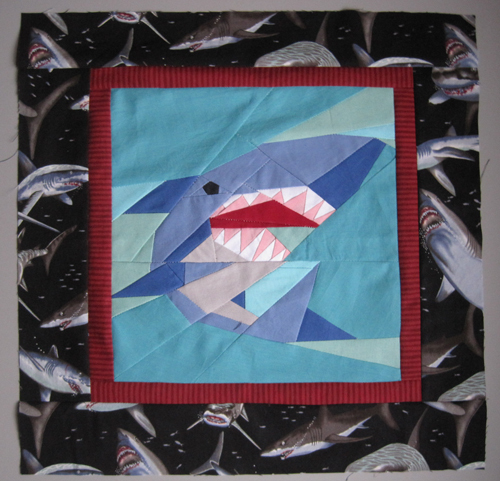 I quilted around the shark and his features to make him stand out as much as possible. 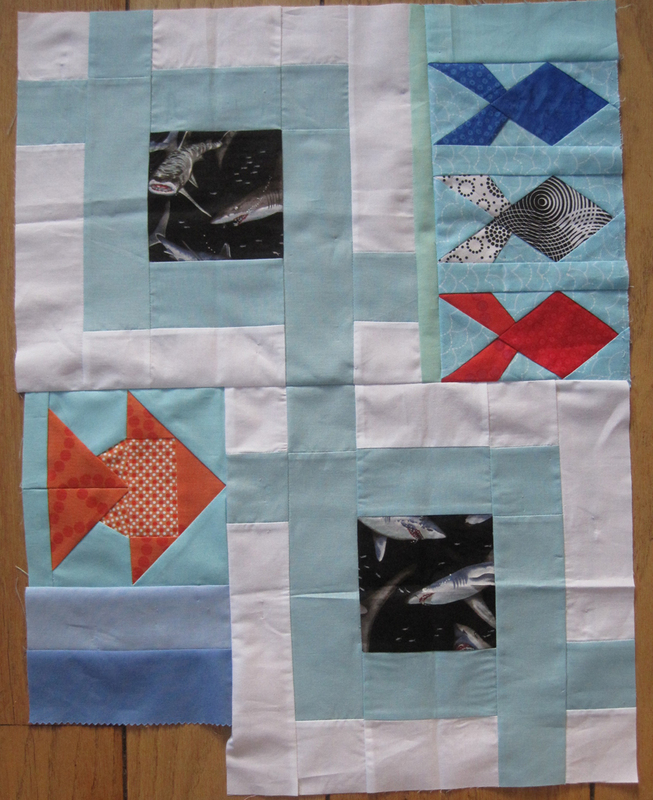 Then I just quilted wavy ocean lines over the rest of it, including over the fish. 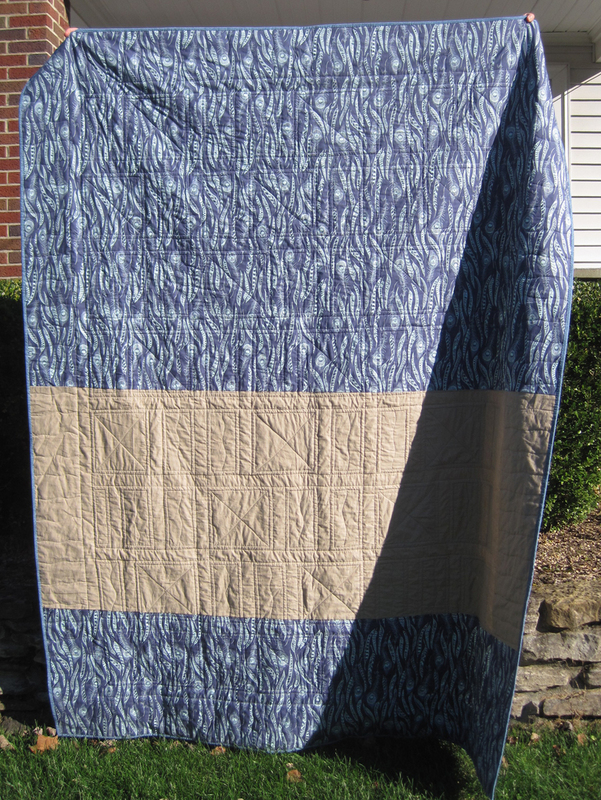 I used the same light blue thread for the quilting on the front and back, so the back looks a little weird. But I like that you can see a ghost shark coming in from the right side. Since the back is almost as designed as the front, I didn’t add a hanging sleeve yet. But if my sister would like one, I’ll sew one on after I give it to Miss Stella. It was fun to manipulate the different elements to make a cohesive piece. Thanks to all the CMQG ladies who contributed blocks! 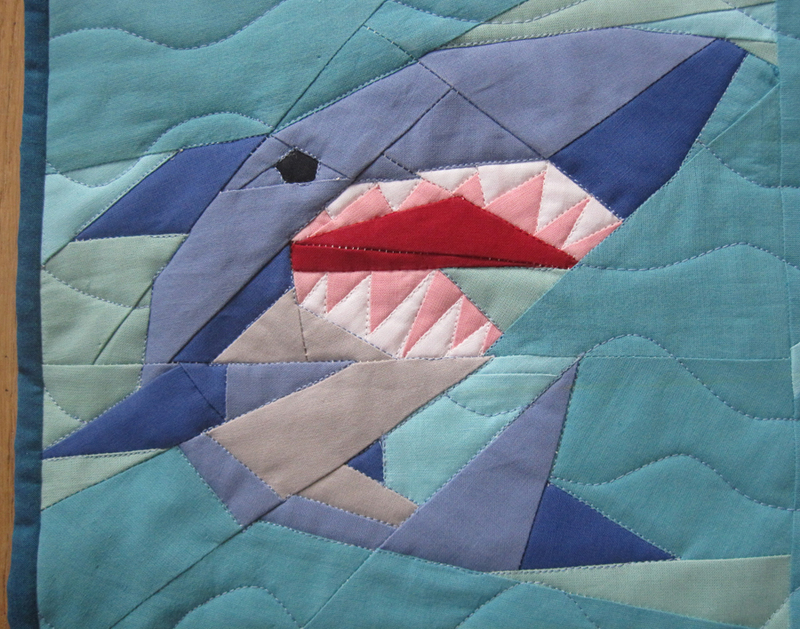 To check out the original shark paper-pieced pattern, click here. One more quilt done! This weekend I finished my pirate charity quilt, which the Cincinnati Modern Quilt Guild will donate to the Children’s Home of Northern Kentucky. The quilt is twin size, so it’s big for me (and for my quilt holder, who has requested smaller quilts going forward). 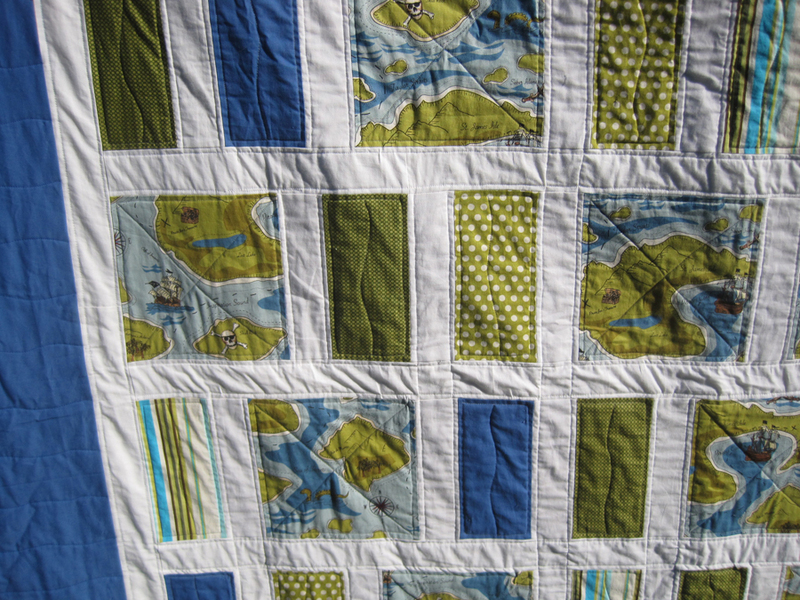 According to my blog records, I’ve had the top of this quilt done since July. 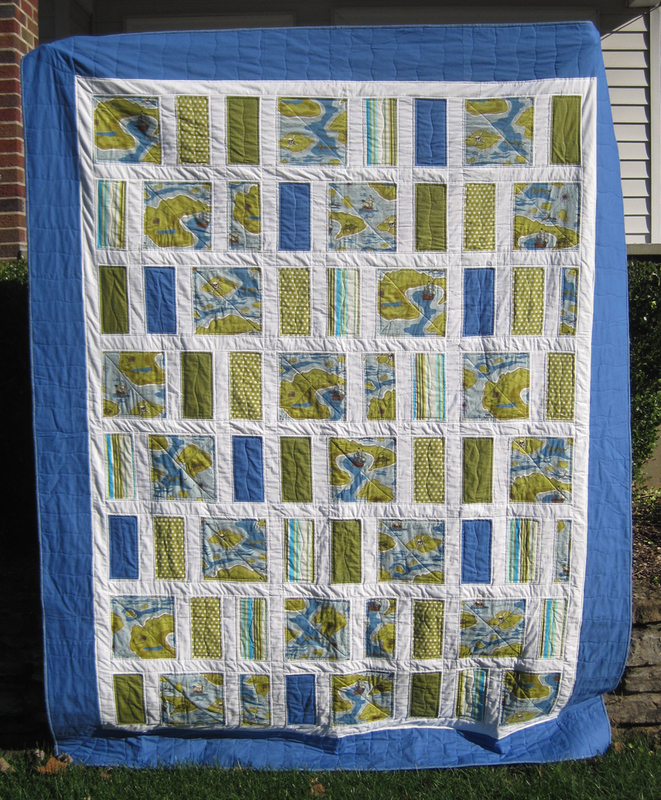 I started quilting it in September and finished up in November. Not too bad. 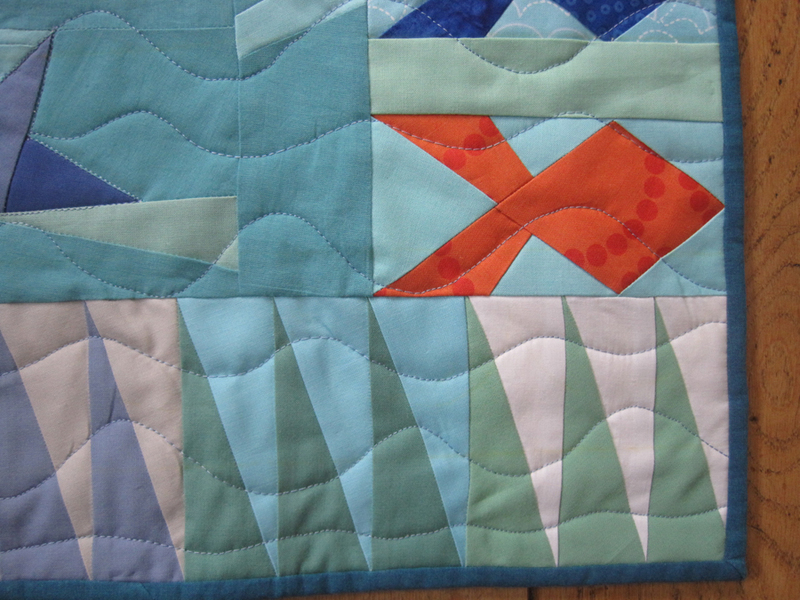 The quilting is very simple and definitely not dense, but it should hold the quilt together. The back is a little more plain, in case the boy who receives it gets tired of the front. Here’s hoping the quilt brings someone a bit of comfort.